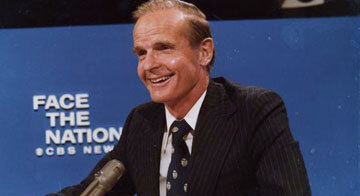 The Society holds the papers of Senator William Proxmire (1915-2005). Proxmire served for 32 years in the U.S. Senate battling to protect human rights, curb federal waste, and fight corruption. Read a short biography about the Senator's life and times. See a complete box-by-box inventory of all Proxmire papers in the Archives available for research. The digital collection of Senator William Proxmire's papers and the oral history interviews were made possible through the generosity of Sen. Proxmire's family and friends, who contributed time, materials, and financial support to ensure that his legacy is preserved. If you have questions about the Senator William Proxmire Collection, please contact our Archives Reference Services staff by phone at 608-264-6460 or by email. More than 7,500 pages have been digitized from the collections and are grouped by original box and folder. Images, audio clips, and interview transcripts are also available online. Given here are 60 typescripts, tearsheets, and other copies of articles found in Proxmire's Senate office files (Box 146, folders 11-16, of his papers at the Wisconsin Historical Society). They were written between 1957 and 1989. Not included here are rough notes, correspondence, receipts, and miscellaneous jottings filed alongside these finished articles. These files from Proxmire's Senate office (Box 206, folders 15 and 16) contain biographical notes, clippings, press releases, and marketing pieces from the first half of his Senate career. Although most are undated and unattributed, the file contains a 7-page autobiographical statement from 1958 (pages 112-119), a 28-profile in Ralph Nader's "Citizens Look at Congress" series from 1972 (pages 6-34), "The Proxmire Record" from 1970 (120-140), and Proxmire's Senate passport (35-48). In March 1975, Wisconsin Sen. William Proxmire sent out his first press release identifying wasteful government spending. He called these monthly bulletins 'Golden Fleece Awards' and they became a popular feature of his Senate tenure. Given here are digital copies of the Golden Fleece press releases, 1975-1987, from Sen. Proxmire's papers. In this digital version, each year opens with his summary of the 12 awards. A handful of the monthly press releases are missing and none have survived from 1984, which contains only the annual summary. The whole series is preceded by a 12-page list of all 159 awards compiled by WHS staff in 2010, and two undated compilations compiled by Sen. Proxmire's office. Between 2008 and 2011, oral historian Anita Hecht of Life History Services interviewed 39 friends, family, colleagues and former staff of Sen. William Proxmire. Judge Cudahy chaired the Wisconsin Democratic Party during the 1960s and led Proxmire's campaigns 1964-1972. Congressman Ron Kind interned for Proxmire in Washington, D.C. in 1984. Economics journalist Bob Kuttner was recruited by Proxmire to be the Senate Banking Committee's chief investigator in 1975. As a U.S. Senator elected Vice President in 1976, Mondale worked closely with Proxmire, especially on Truth in Lending legislation. Consumer advocate Ralph Nader took on many similar causes with Proxmire, including the 1974 Equal Opportunity Credit Act. Democrat David Obey, elected to the U.S. House of Representatives in 1969, worked closely with Proxmire throughout his career. Douglas is the senator's and Ellen Proxmire's son, born in 1961. Active in Wisconsin Democratic Party during the 1950s, Ellen and the senator agreed to marry at the Democratic National Convention in 1956. Ted is the elder of two children from the senator's first marriage. Sarbanes was elected senator from Maryland in 1976 and worked closely with Proxmire on a range of issues.